A well-positioned company will beat the competition that has a comparable offering. The company that clearly articulates what it does, why it's relevant and how it's different helps customers make better and faster buying decisions. Why are we suggesting you get our help? When we place a Chief Outsider with your company, or consult with you on a strategic direction, you get access to the human capital of our entire executive marketing team. 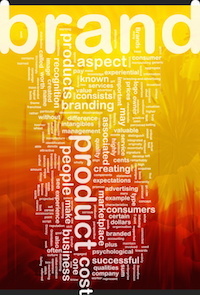 Brand Positioning Strategy: Brand Management or Rebranding? Positioning a brand is serious business. There are several key questions which have to be answered in brand positioning. First, you determine WHAT dimensions are critical to the positioning. This has everything to do with the target customers. What are the top two to five core criteria for their decision making? Then, you need to understand WHERE the brand is currently positioned, assuming you’re already in market, against these brand criteria. Often this sort of analysis is conducted to determine what GAPS are underserved, which presents a potential positioning opportunity of WHERE you’d like to be positioned. You then need to determine if the new positioning opportunity is purely a matter of messaging (relating what you do, why it’s relevant, and how it’s different) or a matter of bolstering your offerings. This analysis might result in something as simple as identifying which products or features are the primary reasons to buy, and rallying your offerings – even your company – around this highly attractive dimension. In the end, you’re trying to determine what your brand should stand for. (Note: not all that you or your products and services can do.) Then, we’ll work on establishing how you’ll deliver this brand positioning strategy in your marketing and sales activities. Here are some terrific articles on other dimensions of brand strategy. Good product positioning strategy requires looking both internally and externally. First, your business as a whole needs to be properly positioned, then your product or services portfolio needs to be positioned. Some companies fail to recognize that their own offerings need to “hang together” and make sense – relative to one another and to your business overall. When a company has diverging offerings or brands, they might best consider two different company banners. Similarly, when companies try to extend the brand of a product in too many directions they can dilute the value of the offering and confuse the customer. With a product portfolio that makes sense, your business also needs to successfully differentiate each product from its competition. Typically, there are three key dimensions to positioning: functionality, relevance and differentiation. When offerings are new (perhaps based on new technology) and not well understood, the positioning is around what the offering does (e.g., now you can watch movies in high definition). When offerings are commodities, the positioning is around your differentiation strategy, and in extreme cases, positioning around the emotional experience (e.g., a beer might claim to be the coldest, which is not actually a unique attribute of the product. It may then go further by putting a temperature gauge on the can to prove it’s cold. You get the idea). Additional thoughts and guidance on product strategy? Read this article. Pricing strategy has its roots in the very heart of competitive positioning. If your company boasts a better product or service and also leads in market reputation (or brand) then you have the opportunity to command premium pricing. However, an initial question becomes: to what degree are my customers price-sensitive? In many cases, especially in small or middle market companies, the unique value your offerings bring may fully justify a premium price. On the other hand, if you lack a competitive presence or are subject to a negative reputation, no amount of pricing discount may equalize your handicap.Understanding these basic dynamics in your competitive marketplace will allow you to create a model to inform your pricing strategy – are you optimizing for volume, or margin, or for predictability? Your pricing strategy may also allow for opportunistic situations such as capturing first order to prove value for a longer term relationship. The main caution in developing a pricing optimization strategy is this: don’t make your sales organization your sole source of input. Dig deeper and broader to ensure you have a balanced perspective. There's some excellent guidance from our CMOs in these pricing strategy articles. Positioning strategy, by its very nature, involves your value relative to your competition. What do you do or offer that’s better (or not as competitive) as others who offer similar products and services? When these differences are identified, supported with proof points, and properly merchandised your prospects will have an accurate and compelling basis to compare your company to others. However, there is always more to understanding your offerings than defining them in light of competitive offers.Companies can easily make the mistake of “over positioning” their products and services. As there are three dimensions to establishing value propositions – what it is you DO, why it’s RELEVANT and how it’s DIFFERENT – companies, marketers and sales teams can focus too much attention on differentiation before assuring the first two dimensions are understood. Your customers are typically most interested in getting their problems solved. If it’s not clear how you’re going to do that, comparing yourself to your competition (even subtly) won’t matter. 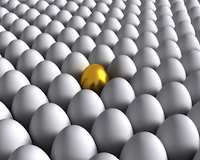 CMO Slade Kobran has this to say about positioning and differentiation. 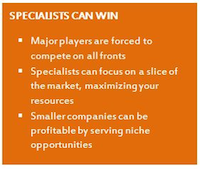 When developing strategies for market positioning, mid-market CEOs would do well to solicit executive management consultants or top marketing consulting firms, rather than a marketing agency or advertising firm. Solid work up front will ensure both effective and efficient go-to-market planning and execution. An alternative to strategic consulting firms is the use of fractional or part-time marketing executives. For more information on this fast growing and cost-effective alternative, see this article on Executives-as-a-Service (Eaas). Chief Outsiders provides part-time strategic marketing consultants with insights on business growth strategy, market positioning strategy and marketing strategy implementation.